All you Shinedown fans out there, this news is for you! Shinedown has just announced even more co-headlining U.S. dates with Godsmack. In addition to the band playing a ton of festivals in Europe this month, they will be returning to the U.S. to begin their summer co-headlining tour with Godsmack on July 22. The recently announced dates start back up on September 21 in Greenville, SC at Bon Secours Wellness Arena. Tickets go on sale June 8th at 10am local time. For ticket info click HERE. 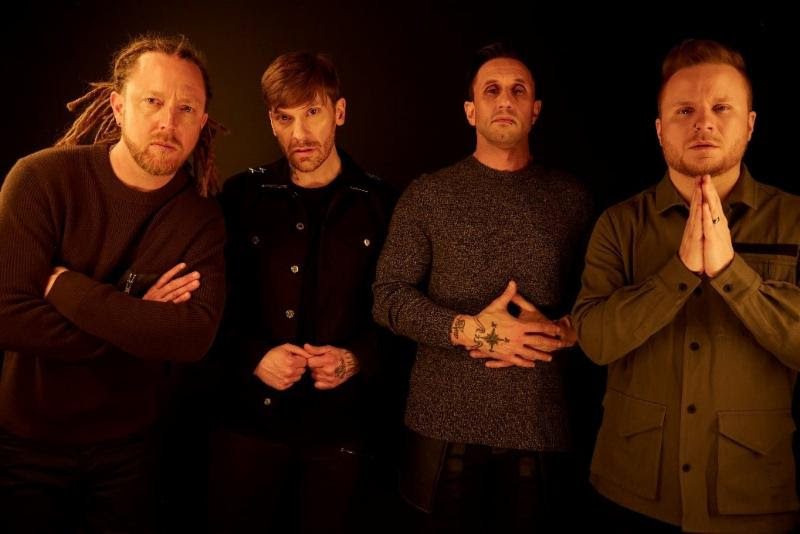 Shinedown is hitting the charts hard with their very successful sixth studio album ATTENTION ATTENTION out now on Atlantic. ATTENTION ATTENTION is a emotional ride that tracks an individual from life's darkest and most brutal times to the highest peaks in life as anxieties dissolve and demons are destroyed. Shinedown's reintroduced power and inspiring spirit are crystal clear on ATTENTION ATTENTION, an album that puts the bands emotion and depth front and center on tunes like "GET UP," an inspiring song that frontman Brent Smith wrote about witnessing bassist Eric Bass fight with depression. The powerful track instantly vibed with fans gathering more than 3 million collective streams and then some. Here are some kick a$$ facts! The album hit #1 on Billboard's Alternative, Top Rock and Hard Rock Albums Charts and debuted Top 5 on the Billboard 200 and #1 on iTunes. "DEVIL” has more than 7 million Spotify streams worldwide, instantaneously landing on the Spotify Global Viral 50 Chart. "THE HUMAN RADIO" was featured on Spotify's New Music Friday. Both videos have a combined 10+ million YouTube views. Shinedown received their very own Air Jordan 1 Retro High OG shoe. Which Shinedown show will you be hitting up this summer? !